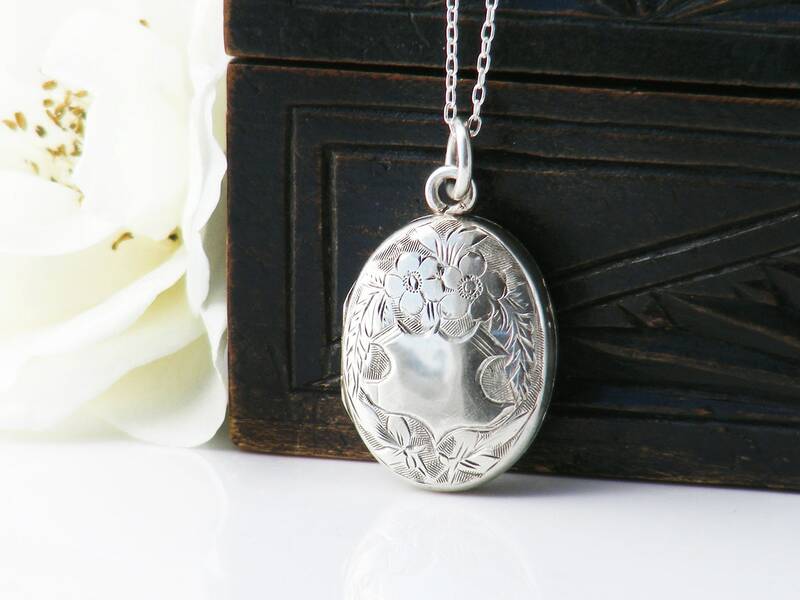 A petite and pretty sterling silver Edwardian locket with hand chased Forget-Me-Not flowers and ivy leaves surrounding a blank cartouche. English in origin, the back is smooth with full hallmarks for Sterling Silver, the Assay office of Chester, England and the year 1904. The lovely fat little suspension ring is also stamped for sterling. The interior has a two photo retaining rings with new card liners. 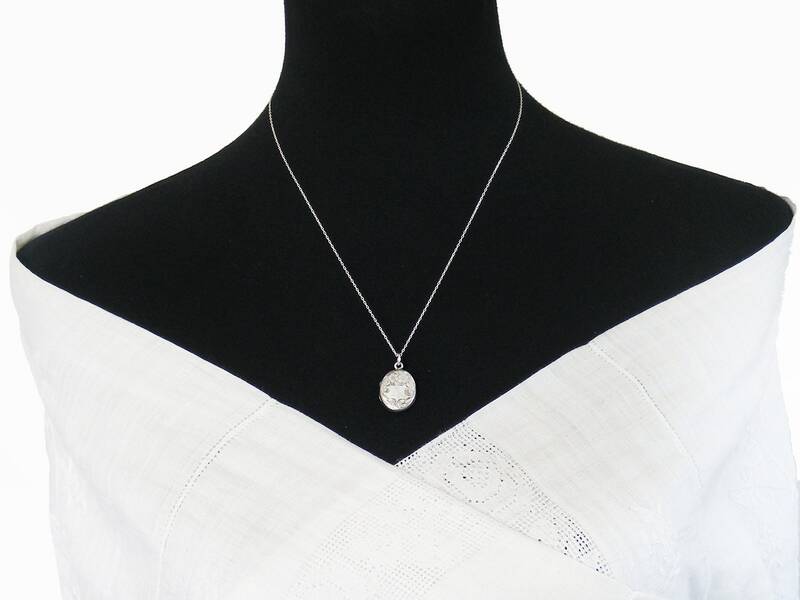 Small in size, measuring .62 x .81 inches (16 x 21mm) and the drop from the chain is 29mm. 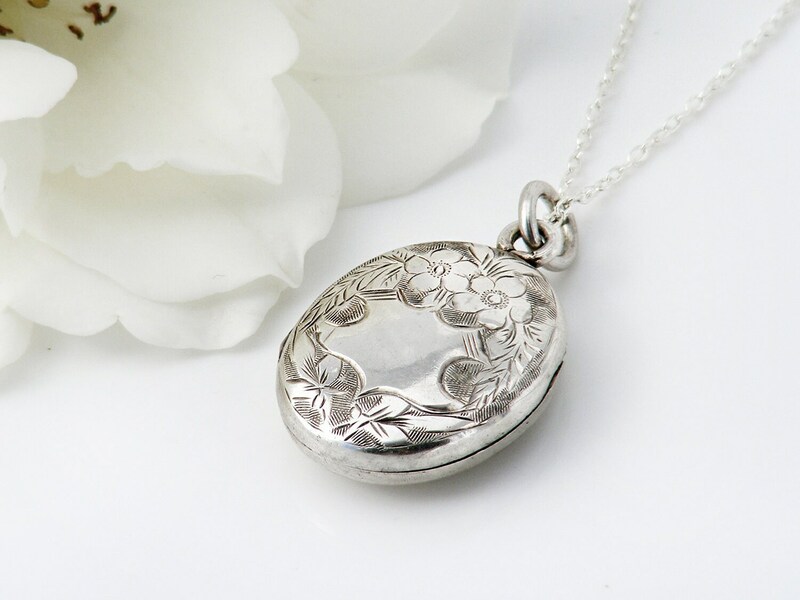 The locket rounds out gently to approximately 6mm in thickness. Age: 1904 - 105 esteemed years of age. Total Weight: 3.1 gms (without the chain) light but nice and strong. 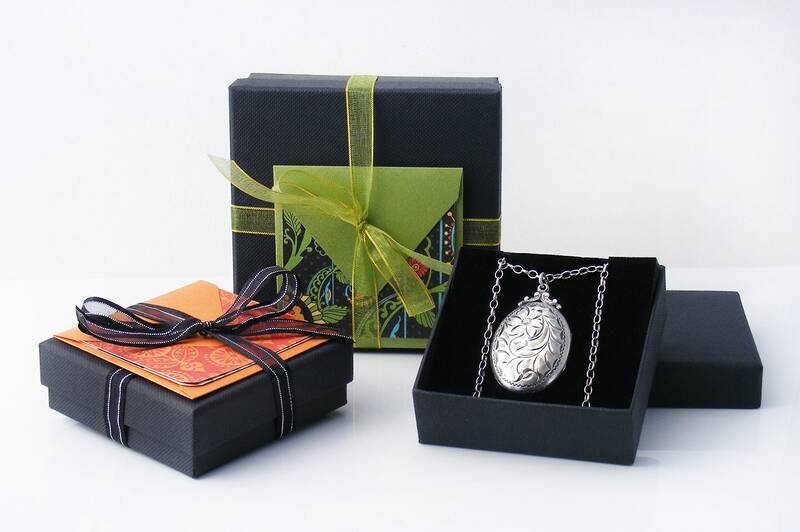 The locket is presented on a new 20 inch or 51cm sterling silver chain as shown on a life size torso in image 2. Condition: Very, very good. 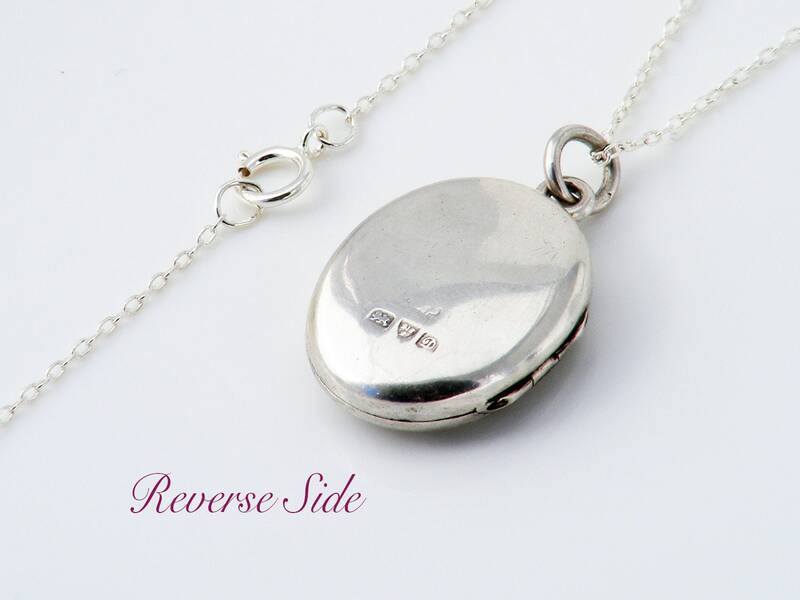 The hinge is working well and the locket closes securely and stays shut with no gaps. A few tiny shallow dimples to the back; they do not detract. Lovely natural patina to the silver. Such a pretty Edwardian piece and unusual in this size! 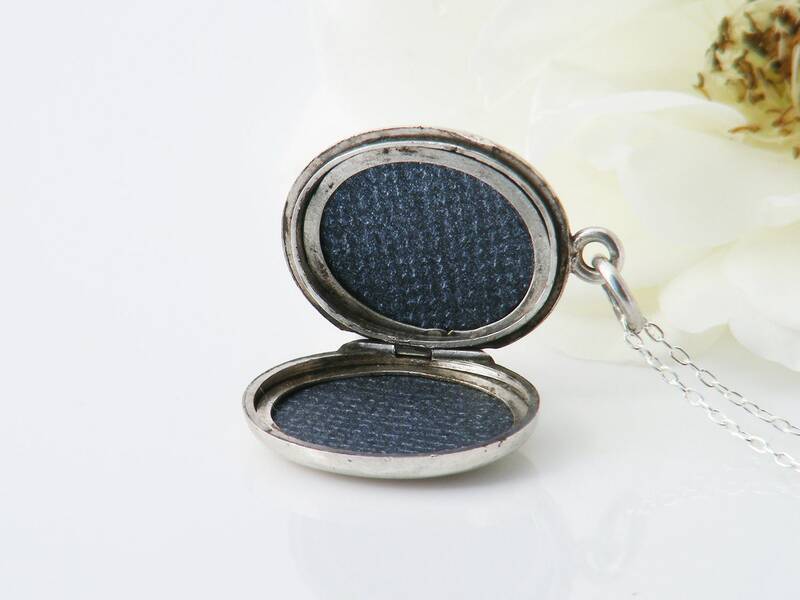 The locket is smooth and delightful to handle.